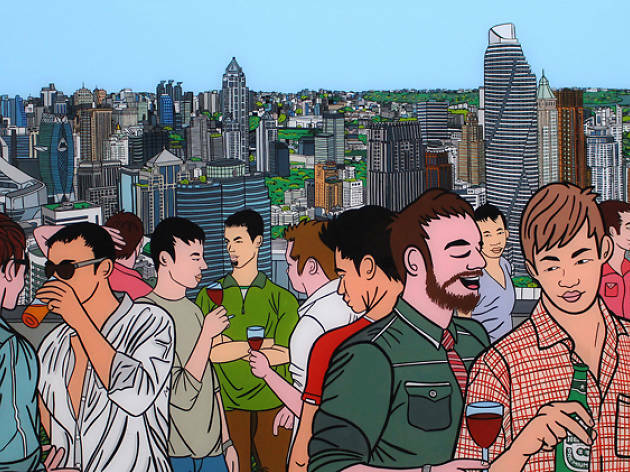 Daniel Monfort Gil, a foreinge artist who has love for Bangkok, depicts gay life in the city through his fun and vibrant paitings. 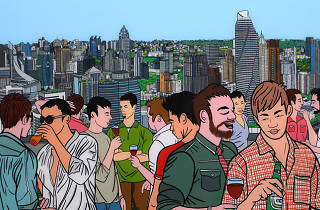 The exhibition consists of pictures in various situations and scences, plus stories of gay people he experiences first-hand to create imagination and understanding about gay people in our society. It's colorful and fun.